Ms. Conlin started the journey toward achieving her goals at Drake University, where she earned a Bachelor of Arts and a JD in 1964 and 1966, respectively. She proceeded to spend a year in private practice before taking on roles such as deputy industrial commissioner, assistant attorney general for the state of Iowa, director of the Iowa Civil Rights Section of the Department of Justice, and consultant to the United States Commission on the Observance of International Women’s Year. Notably, in 1977, Ms. Conlin became one of the first two women to ever be a United States Attorney. She served the Southern District of Iowa at the post, focusing on corruption, white-collar crimes, and high-profile drug cases. Then, in 1979, she decided to further her educational background by earning a Master of Public Administration from Drake University, a move that eventually propelled her to join Galligan and Conlin, P.C., in 1983. After seven years in that role, Ms. Conlin decided to start her own firm, Roxanne Conlin & Associates, P.C., where she remains to this day. The firm’s focus is on civil litigation, particularly employment, civil rights, personal injury, and constitutional law. True to her roots, Ms. Conlin “exclusively represents people who have been harmed by others, whether by discrimination, products, doctors or vehicles.” She is thrilled to be fulfilling what she knows is her calling, and, moving forward, she hopes to continue helping her clients to the best of her ability. As an extension of her devotion to others, Ms. Conlin has also spent much of her time in politics. She felt that using her background in the field would enable her to help a broader scope of people, which was why she spent 1982 in a race to become the first democratic governor of Iowa in 14 years, as well as the state’s first female governor. Although she was narrowly defeated, she didn’t give up. From 1983 to 1984, she served as the chair of the National Policy Council of the John Glenn for President Committee, after which she became a member of the Senior Women’s Strategy Council for the Mondale/Ferraro Campaign. 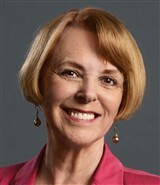 Ms. Conlin chaired the Iowa Democratic Party from 1998 to 1999, and co-chaired the Edwards for President Campaign in 2004 and 2008. In 2010, she was the Democratic Nominee for Iowa for the United States Senate. Ms. Conlin was honored when her efforts resulted in her induction into the Iowa Democratic Party Hall of Fame as an Outstanding Supporter. With such an impressive depth of knowledge and experience, Ms. Conlin found it only natural to give back to her peers through teaching, writing, and community service. From 1977 to 1979, she taught the first course on women and the law in Iowa at the University of Iowa Law School, and in 1975, she contributed her first article, “Equal Protection vs. The Equal Rights Amendment – Where Are We Now?,” to the Drake Law Review. Ms. Conlin also wrote articles for journals like the National Law Journal, and chapters for books like “Women in the Professions.” Further, Ms. Conlin uses her position to sponsor scholarships for the victims of domestic violence in Iowa, and to found organizations like the Civil Justice Foundation, which supports grassroots organizations and disabled individuals. Over the course of many decades in the profession, Ms. Conlin has received a number of accolades for her hard work, dedication and passion. Most recently, in 2017 and 2016, she was listed among the 10 Best Female Attorneys, and in 2016, she earned the Sages over 70 Award. Ms. Conlin was also recognized with the Donald Lay Award in 2014, the Bloomer/Catt Award for Public Service from the Status of Women Conference in 2013, and the Alumni Achievement Award from Drake Law School the same year, among dozens of other awards. In 1995, she was inducted into the Inner Circle of Advocates, which is limited to only 100 members nationwide. Additionally, Ms. Conlin was honored with inclusion in numerous editions of Who’s Who in America, Who’s Who in American Law, Who’s Who in Government, Who’s Who of American Women, Who’s Who in the Midwest, Who’s Who in Politics, and the Dictionary of International Biography. Ms. Conlin would like to dedicate this narrative to her mother, Alyce Muraine Barton.